One of the most important parts of using compression stockings is to make sure you are wearing them often enough. So how often is often enough? Well, it depends on a few things and we’d like to talk about those here. First and foremost, if your doctor has recommended that you start using compression socks and stockings, you should follow any instructions given. Depending on the reason you are using compression stockings, your doctor may recommend that you wear the stockings for a few hours or throughout the day, for a short period of time or extended periods. If you are recovering from surgery and your doctor has recommended the use of compression stockings, you will be given specific instructions on how long to wear them. In general, compression stockings should be worn every day to help alleviate mild cases of tired, achy legs or swelling. 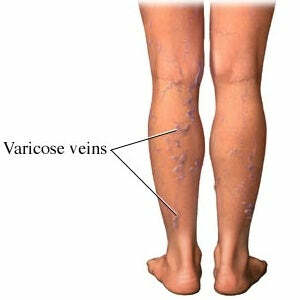 Compression stockings for varicose veins and other ailments are designed to try to fit into your everyday life with minimal impact. You can wear compression stockings whenever you experience swelling or achy legs – or you can wear compression stockings on a more regular basis for ongoing help improving your circulation. Unless your doctor says otherwise, compression stockings are typically not used for sleeping or lying down. Many people will wear compression stockings during the day, and then wash the stockings at night. While sleeping, you can use a pillow or a bed wedge to elevate your legs and encourage better blood flow. Most cyclists can tell you the two biggest benefits of cycling: It saves money on transportation, and it gives you a workout at the same time. These days, cyclists of all skill levels are getting even more out of their rides by using compression socks. Studies have shown improved cycling performance just by wearing compression socks. But all riders, from the casual commuter to the cardio junkie, will find additional reasons to wear (try, get, buy) cycling compression stockings. With rising gas prices and increasing environmental concerns, people everywhere are beginning to commute to work on bicycles. It’s far more fun than sitting in stop-and-go traffic, and it can spice up an otherwise sedentary lifestyle. City dwellers are learning how to beat traffic gridlock by touting two wheels instead of four. And with cycling, you can park almost anywhere – for free! Seasoned cyclists who’ve been riding for years know that physical health is improved by pushing pedals for about an hour every day. Whether they’re into racing or just want to give the body and heart a workout, any experienced cyclist will rave about the mental and physical benefits of riding a bike. There’s something to be said for going somewhere powered by your own two legs. But with any type of exercise, you can expect sore muscles and bodily fatigue. For cyclists, much of that wear and tear happens in the legs. However, many cyclists are discovering a secret weapon to combat sore muscles and leg fatigue: cycling compression stockings. Reduced lactic acid buildup: Medical professionals will tell you that getting fresh oxygen to your muscles is a vital part of any workout; not doing so can lead to lactic acid buildup. Fortunately, another key advantage of compression cycling stockings is their ability to flush out the lactic acid buildup that occurs after workouts. Lactic acid buildup happens when the body is working hard and can’t supply enough oxygen to the muscles – think of it as a backup fuel source. Cycling compression stockings, such as CEP biking socks, aid in the removal of lactic acid when it builds up during strenuous activity. Extra leg support: All cyclists exert strain on their legs and feet muscles during a ride. Wearing CEP biking socks or other compression stockings lends extra support to the leg muscles and tendons, including the Achilles. Donning compression socks after a workout also helps your muscles recover. After an intense ride, keeping your socks on will help reduce muscle soreness, fluid retention and swelling. In fact, compression socks can be worn with your regular work attire, making them a versatile choice when it comes to footwear. Cyclists can give themselves added muscle support throughout the workday by bringing an extra pair of socks to wear after commuting to work. Enhanced comfort: Cycling compression stockings also have special built-in features designed just for cyclists. Each sock is designed for either the right or left foot, which provides a perfect fit each time. And as your workout heats up, cycling-oriented compression socks are designed to keep your legs and feet cool with a special temperature-regulating material. This high-tech fabric also wicks away moisture and sweat as you ride. Plus, compression socks are equipped with extra foot padding to provide extra comfort when wearing cycling shoes – not to mention the prevention of blisters. First, choose between compression stockings or socks. Generally, compression socks go up to your knee, while stockings go up to the thigh or higher. Also, compression stockings tend to look like nylons or leggings. You will also need to get an accurate measurement of your legs so you can purchase the correct sock size (the LegSmart.com blog has many free resources to teach you how to properly measure your legs). These special socks also come with different levels of compression, so you’ll need to choose the level that best suits your needs. It is recommended to replace your cycling socks every four to five months. The fabric used in compression socks will eventually lose its elasticity, which is a sign they need to be replaced. Exercising is crucial for maintaining good health. But with exercise and athletic activity comes the possibility of injury. Doctors and physical therapists recommend a recovery regimen generally referred to as R.I.C.E. to help athletes and ordinary folks heal after injuries from exercise and strenuous athletics. Compression socks can play an important role in the R.I.C.E. process to help heal the injuries you can get from exercising. Rest: The first thing your doctor will tell you is to stop your activity and rest your injured body part. Don’t try to walk on that sprained ankle or open a jar with that sprained wrist. Take it easy. Ice: In the hours immediately after an injury, careful application of ice can prevent swelling and alleviate pain by reducing blood flow to the injury. Never apply ice directly to the skin or ice for more than 20 continuous minutes. Compression: Sport compression socks are an easy way to get medically accurate compression to an injury in the foot, ankle or calf without the difficulty of wrapping or the uncertainty of knowing how much compression is necessary or helpful. Sport compression socks also help reduce swelling by encouraging fluid to drain from away from the injury, which can help alleviate pain. Compression sleeves are also available for injuries to the arm and elbow. CEP Sports Compression Socks and Sleeves offer specialized compression garments for biking and hiking as well as compression sleeves for arm injuries and sport compression socks for football, soccer and other sports involving running. CEP running compression socks maximize oxygenation of the muscles, support calf muscles, aid in correct alignment and support the Achilles tendon. Wearing CEP running compression socks during exercise can help prevent injury as well as aid in the recovery process. Elevation: The last step in injury treatment is elevation, or keeping the injury above the level of the heart. This also helps to remove excess fluid from the injury. Compression is an essential part of injury recovery. Sport compression socks make it easy to get the right compression to your injury immediately, affording you greater comfort and faster healing. When you hear "compression support hose," what do you think? Most people associate the term with those ugly white medical stockings they make you wear in the hospital. But when it comes to knowledge about what purpose they actually serve or when they are needed, many people – even some medical professionals – just don't know too much about them. So what do compression stockings actually do for you, besides make you look like you belong in the hospital? Is compression an outdated method that has been replaced by more recent technology? Surprisingly, it is quite the opposite. Compression has been refined over the years to be more comfortable and fashionable such that it is much easier to incorporate into your lifestyle. Let’s take a look at where compression started and how far it has advanced today. If you have heard the term "TED hose" before, then you are most likely familiar with the generic white medical stockings we talked about earlier. About 25 years ago, everything was essentially referred to as TED hose. These "support" stockings had a light, consistent compression throughout and was meant for bed-ridden patients to aid in circulation and prevent ulcers. While this is good for patients who are sedentary, a low and consistent compression is not effective for ambulatory patients. Over time the industry leaders found that graduated – or gradient – compression is more effective. This means the stocking is tightest beginning at the ankle, and lessens as it goes up the leg. The idea behind it is to promote the unidirectional flow of blood back up to the heart, so as to avoid venous disease. Ever since then, compression stockings have been revolutionized and modernized to fit anyone's lifestyle. So what is compression like now? Compression has come a long way and is quickly becoming a part of many peoples' lifestyles. Now more than ever people are beginning to realize that maintaining leg health is a crucial component to overall well-being, right up there with diet and regular exercise. The industry leaders recognize this fact, so they have worked extremely hard to make compression more of a fashion statement, as opposed to a medical necessity. Now compression stockings come in all different styles and colors suitable for both men and women. There are different options for casual wear, dressing up, and even for sports. You may have already seen some runners with the bright colored sleeves and wondered what they are. They're not just leg warmers; they're compression running sleeves. Regardless of what you do on a daily basis, everyone can use compression (although please do be careful, there are some medical conditions in which compression is not appropriate, so talk to your doctor first!) If you ever feel like your legs are fatigued at the end of the day, compression just might be your answer. Try it out today and let us know what you think. LegSmart is a team of certified compression fitters and we are all very knowledgeable about leg health and compression. 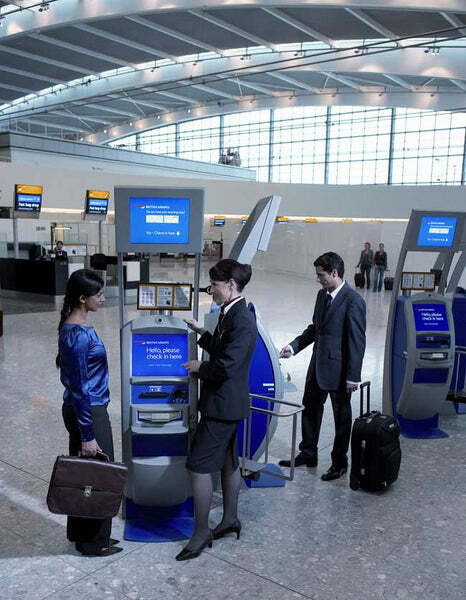 Contact our Customer Care Team if you have any questions! What are the Benefits of Wearing an Open Toe Compression Stocking? Ever get the feeling that your toes could use a bit more wiggle room or are feeling a bit suffocated in your compression stockings? Keep in mind that most compression stockings are available with the option of an open toe (Yes ladies, even sheer stockings!). An open toe stocking is not a footless stocking. It is similar to a fingerless glove, allowing your toes to be exposed. If you are considering open toe compression stockings or are new to compression stockings in general, let us answer a couple of the most frequently asked questions for you regarding open toe stockings. Will the band on the foot portion bind my toes together? No. The majority of the stocking's compression begins in the ankle portion and lessens as it goes up the leg. Although the foot of a compression stocking does have some elasticity in it, there is very little compression in the foot portion. Why would I want to wear open toe stockings? Open toe compression stockings are great for wearing flip flops or sandals. Especially during the warmer months, the exposure to your toes will have your feet breathing much better. If you experience discomfort with tightness on your toes or have any structural toe conditions, the open toe option will allow more freedom of motion for your toes. In regards to toe comfort, open toe compression stockings are also an ideal choice if you have a rather larger shoe size to prevent your toes from feeling cramped. What are the benefits to an open toe stocking? In comparison to the closed toe, open toe compression stockings also come with a foot slip. You might be thinking, "What in the world is a foot slip?" or "Why would I need that?" All of our premium brands provide a silk sock-like aid with your open toe stockings for ease of application. Before putting your compression stocking on, temporarily put this slip on your foot. The foot slip helps by reducing friction between your skin and the fabric, making the donning process much easier. With the warmer temperatures that come with the spring and summer months also comes the time for travel. A luxury vacation is no excuse to set aside your compression stockings. If anything, travelling is one of the times you'll need your compression stockings the most, especially when you will be travelling by plane. The breathability feature of the open toe stockings are a great option for those traveling to a place with warm climate. Warmer weather also means sports season and better weather for outdoor runs and workouts. Again, don't let that be an excuse for you to set your compression stockings aside. We understand that during a summer workout, warm weather + warm body temperature = enough warmth. But with your workout or sports activity, compression is very beneficial. Just to name a few, compression helps prevent lactic acid build up, helps muscles stay well oxygenated during activity, and helps with the recovery process following a workout. 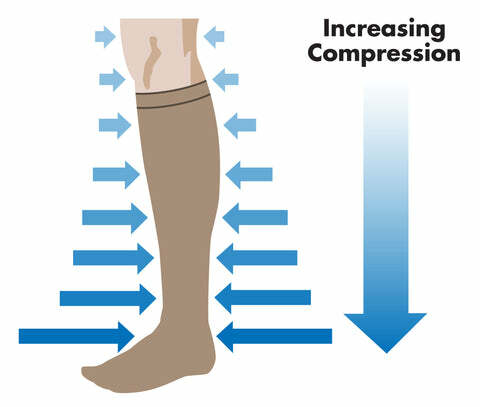 Try an effective and fashionable footless compression sleeve to give you these benefits! So what’s the main message here? The warmer months may tempt you to disregard your compression stockings, but don't do it. Keep your legs healthy and your toes breathing fresh air during these months of wearing flip flops and sandals! What are the Best Compression Socks for Travel? As the old saying goes "an ounce of prevention is worth a pound of cure;" they must have been thinking of compression socks. Nowadays, there are so many different comfortable styles that there is no reason for people to not be wearing compression socks. Moreover, there is one situation in which compression is especially necessary: Travel. Whether you are constantly traveling for business or you are traveling for the first time, the benefits of wearing compression socks are manifold. Whether traveling by plane, train, automobile or bus, most of the time you are not moving much or at all. 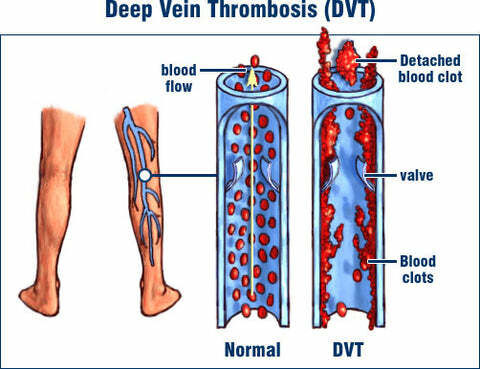 Because the calf muscle is not moving, your blood moves slower in the lower leg which can cause a potentially life-threatening blood clot, or a DVT (Deep Vein Thrombosis). Compression socks will increase the blood flow and help prevent lower leg swelling as well as blood clots. Swelling of the lower leg is quite common and compression socks are very beneficial in controlling swelling as well as lessening the risk of DVT. Your legs will feel energized and refreshed so that you can enjoy that business trip or vacation when you arrive. Some travelers have also found that on long flights, the effects of jet lag are reduced because compression socks increase blood flow with more oxygen flowing to legs. Sigvaris’s Cushioned Cotton is a great travel sock for both men and women. Everyone loves to be comfortable when they travel and cotton is one of the most comfortable materials. Medi Comfort compression stockings are excellent with either a dressy or casual look. Juzo Naturally Sheer is perhaps the most sheer compression stocking with a beautiful sheer look great for dinner parties or for traveling to those hot climates. Wearing compression socks while traveling is both a great preventive product as well as giving you energy for your vacation or business trip. So here’s to your health and enjoy those energized legs. Compression socks and stocking are knit in a special way using elastic yarns. They gently compression and squeeze your leg the most at the ankle, and lightens up towards the top. That’s what makes compression stockings “graduated”. Graduated means that the amount of compression changes gradually from the ankle to the top of the stocking. Compression socks and stockings squeeze your legs and help increase circulation from your feet back up the legs to your body. 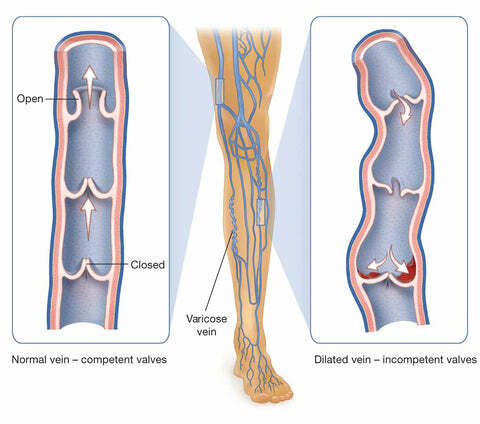 Veins that are worn out or damaged have a harder time returning blood back to your heart from your feet. That causes swelling, skin changes, infections, blood clots, and leg ulcers. Wearing compression stockings helps prevent and manage those kinds of symptoms caused by poor circulation. Compression socks and stockings are available in many levels of compression, usually 15-20 mmHg, 20-30 mmHg, and 30-40 mmHg. The mmHg stands for “millimeters of Mercury” which is a medical measure of pression just like in blood pressure. The higher the numbers, the more compression there is in the sock or stocking.